In this so-called Asian century, Australia is only too keen to pronounce itself as belonging to the Asian region, constantly referred to in the recent White Paper on Australia in the Asian Century as 'our' region. But does this mean that Australia is now at home in Asia? 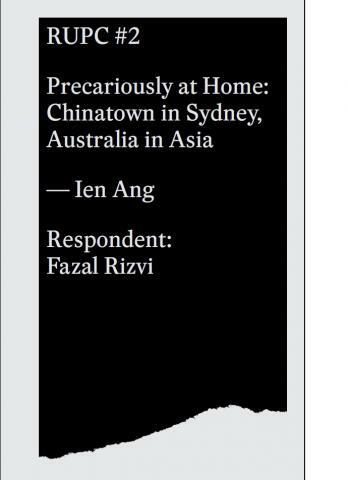 To address this question, this publication will first examine the changing sense of home of Australian Chinese in Sydney’s Chinatown in a time of rapid global change and the growing influence of China's rise as a superpower. It concludes with the observation that a precarious sense of home is all we can aspire to in the 21st century.